SIZE: 2.5 million sq. km. LANGUAGE: Tibetan (of the Tibeto-Burmese language family). The official language is Chinese. HIGHEST MOUNTAIN: Chomo Langma (Mt. Everest) 29, 028 ft.
AVERAGE TEMPERATURE: July 58 f; Jan. 24 f.
ECONOMY: Tibetans: predominantly in agriculture and animal husbandry. Chinese: predominantly in government, commerce and the service sector. NATIONAL FLAG: Snow lions with red and blue rays. Outlawed in Tibet. POLITICAL AND RELIGIOUS LEADER: The 14th Dalai Lama. In exile in Dharamsala, India. In geological terms, the creation of the himalayas and the rising of the Tibetan plateau are extremely recent events. The mountains originated less than four million years ago, making them among the youngest in the world. There are three distinct geographical regions in greater Tibet. By far the largest natural region is the Northern Plateau, or Chang Tang, which covers about half of Tibet's total surface area and is delineated in the west by the great Karakoram range, in the north by the wall of the Astin Tagh, and in the northeast by the Nan Shan range. The chang tang has one of the worst climates on earth and therefore most of the part of this region is never visited by humans. The second main geographical region of Tibet, the outer plateau is a relatively narrow strip, with the himalayas forming the southern boundary. It is the most populous part of Tibet and contains almost all the major human settlements. The outer plateau differs from the northern plateau in several important ways. The temperature and climate are milder, and consequently there is a richer distribution of flora and fauna. The area around shigatse and the Lhasa valley are clear examples of this. Contrary to popular images of Tibet, Lhasa has a pleasant climate, with nearly all its rainfall occurring in the summer. For most of the year the weather is sunny and dry, mild during the day from april to october, and not unbearably cold in winter. The other main geographical region is the southeastern plateau, comprising only one-tenth of the total area of Tibet and forests are very much a characteristic of this region. Northern Tibet Plateau: Lying among the Kunlun, Tanggula, Kangdese and Nyainqentanglha mountains, the plateau covers two-thirds of the autonomous region. Southern Tibet Valley: Lying between the Kangdese and Himalayan mountains, the valley is drained by the Yarlung Zangbo River and its tributaries. Eastern Tibet Canyon: The canyon is formed by some high mountains extending east-west before turning south-north that belongs to the Hengduan Mountain Range.The Tibet Autonomous Region comprises six typographical types--extra-high mountains, high mountains, medium-high mountains, low mountains, hills and plains. The region also features glacier edge, karst, sandstorm and volcanic topographies. Some 20 million years ago, the Asian, European and Indian Ocean continental plates collided, resulting in the elevation of the world's youngest plateau--the Qinghai-Tibet Plateau. Mountains created as a result form the skeleton of Tibet. Kunlun Mountains: Kunlun runs from west to east on the northern fringe of the Tibetan Plateau. To its north is the Tarim Basin in Xinjiang and the Qaidam Basin in Qinghai; to its south is low-lying land, lake basins and wide valleys. Mostag, rising 6,973 meters above sea level, is the highest peak in the area. Kalakunlun-Tanggula Mountains: The major part of the Kalakunlun Mountains lies on the border between Xinjiang and Kashmir. Running eastward, it forms the Tanggula Mountains at 90°E, marking the border between Tibet and Qinghai. Kangdese-Nyainqentanglha Mountains: Tucked away at the southern edge of the North Tibet Plateau, the mountains serve as the border between south and southeast Tibet, and the demarcation line for rivers that flow inside and outside the region. Kangrinboqe, with an elevation of 6,656 meters, is the highest peak of the Kangdese Mountains; and Nyainqentanglha, with an elevation of 7,162 meters, is the highest peak of the Nyainqentanglha Mountains. Himalayan Mountains: Zigzagging through the southern part of the Tibetan Plateau, the Himalayas comprise almost parallel mountains running from east to west. The major part of the Himalayas lies on the border between China and India, and between China and Nepal. Extending some 2,400 km, it is 200-300 km wide, and has an average elevation of over 6,000 meters. In this part of the world there are 80-odd peaks each with an elevation of over 7,000 meters, and over 10 with an elevation over 8,000 meters. Qomolangmo, rising 8,848.13 meters above sea level, towers over surrounding peaks in the middle part of the Himalayas on the Sino-Nepalese border. Within an area of 5,000-plus square km surrounding the world's highest are four more peaks each with an elevation of over 8,000 meters and 38 rising over 7,000 meters. Hengduan Mountains: Hengduan is a combination of several parallel mountains, including Bexoi La and Mangkam Mountains. In the Tibet Autonomous Region there are some 20 rivers each with a drainage area of over 10,000 square km, and over 100 rivers with a drainage area of over 2,000 square km. The most important are the Jinshajiang, Nujiang, Lancangjiang and Yarlung Zangbo. The region is the source of some of the most famous rivers in Asia, such as the Ganges, Indus, Brahmaputra, Mekong, Salween and Irrawaddy. Yarlung Zangbo is the largest river in the autonomous region. Originating in the Gyima Yangzong Glacier in Zhongba County at the northern foot of the Himalayas, it runs 2,057 km in China (ranking fifth in China in terms of length), draining an area of 240,480 square km (sixth in China). With the drainage area 4,500 meters above sea level, the Yarlung Zangbo is the highest river in the world. When it flows into India via Lhoyu, it is called the Brahmaputra River. About 1 million people, or half of the population in the autonomous region, live in the area drained by the Yarlung Zangbo River with 153,333 hectares of cultivated land, or 50 percent of the Tibetan total. The area is also home to some major cities and towns, including Lhasa, Xigaze, Gyangze, Zetang, and Bayi. The Yarlung Zangbo River turns to the northeast after Paiqu in Mainling, and makes a U-turn around Namjagbarwa, the highest peak in the eastern Himalayas to create the largest canyon in the world. The Yarlung Zangbo Grand Canyon is 5,382 meters deep, the deepest in the world. The river bottom is 74 meters at the narrowest part and 200 meters at the widest part, extending 370 km in length. The Tibetan Plateau is dotted with some 1,500 lakes, including Nam Co, Serlin Co and Zhari Nam Co, each with an area of over 1,000 square km, 47 covering more than 100 square km each and 612 others covering more than 1 square km each. Lake areas add up to 24,183 square km, or one-third of the total in China. Seventeen lakes are tucked away at an elevation of 5,000 meters or higher; each covering an area of over 50 square km. The Tibet Autonomous Region is richly endowed with plant resources, with more than 5,000 species of higher plants. Medog, Zayu, Lhoyu and Moinyu in south eastern Tibet are like museums of rare plant life. Even in northern Tibet, with its extreme natural conditions, there are more than 100 kinds of plants. Forests, concentrated in the Nyingchi area, still retain their primitive nature. Tree species found in the Northern Hemisphere, from the tropical to cold areas, can be found there. Medicinal Plants: There are over 1,000 kinds of plants with medicinal properties. They include some 400 kinds commonly used as medicinal herbs, and some 300 kinds used to make Tibetan medicine with special curative effect. Major ones include tuber of elevated gastrodiae, safflower, bulb of fritillary, pseudo-ginseng, rhubarb, root of hairy asiabell, large-leaved gentian, root of red-rooted salvia, glossy ganoderma and reticulate millettia. These medicinal herbs are so high in production that, after satisfying the needs of the Tibetan-inhabited areas, there is still a surplus to be exported to other parts of China. Some are even sold overseas. Plants with Sugar and Starch Content: In the whole region, there are some 70 kinds of such plants, including over 50 that can be simply or directly processed into raw materials for drugs, textiles, and for making paper and wine. In addition to the aforementioned wild plant resources, the forests hold many types of fungus. Of the 200-plus fungi are some that are precious medicinal herbs, including glossy ganoderma, Chinese caterpillar fungus, fuling (Poris cocos), and stone-like omphalia. There are also edible fungus including some kinds of mushrooms, Auricularia auricula-judae and tremella. These fungi are nutritious and tasty, and boast anti-cancer elements. The Tibet Autonomous Region boasts 118 species of mammals, 473 species of birds, 49 species of reptiles, 44 species of amphibians, 61 species of fish, and more than 2,300 species of insects. Wild animals inhabiting the tropical and sub-tropical broad-leaf forests on the southern slopes of the Himalayas include long-tail leaf monkey, Assamese Macaque, rhesus monkey, muntjac, head-haired deer, wild cattle, red-spotted antelope, serow, leopard, clouded leopard, black bear, wild cat, weasel, raccoon dog and others preferring a warm climate. Wild animals inhabiting coniferous and broad-leaf forests, or coniferous forests in the temperate area include lesser panda, red deer, river deer, white-lipped deer and some other animals that thrive in cold climates. In forests with an elevation of over 4,000 meters there are Tar sheep. In areas perennially covered by snow, there are snow leopards known as the "highland overlord"and blue sheep good at climbing mountains. In northern Tibet with high elevation, there are wild yak, Tibetan antelope, wild donkey, blue sheep, argali, Mongolian gazelle, fox, wolf, brown bear, snow leopard and jackal. Of these, the Tibetan antelope, wild yak, wild donkey and argali are unique to the Qinghai-Tibet Plateau, and command high appreciation and economic value. They are subject to protection by the State. The rare white-lipped deer is unique to China and is under first-class State protection. There are more than 70 known mineral types in the Tibet Autonomous Region. Total reserves of 26 of these have been determined, with 12 ranking among the top five in China at a provincial level. They include chromite, with the highest deposits in China. The people's government of the Tibet Autonomous Region is now building up the Norbusa Chromite Mine in southern Tibet. Of the non-ferrous and rare metals, the prospective lithium deposits in Tibet are among the highest in the world, and the region serves as China's lithium production base. Prospective copper reserves rank second in China. Of the non-metallic ores, boron boasts the largest reserves. Distributed widely in the autonomous region, it ranks third in China in proven reserves. In addition, magnetite used as supplementary material for the metallurgical industry ranks third in China in proven reserves. Barite and arsenic, coveted by the chemical industry, occupy third and fourth place respectively in China in terms of reserves. Reserves of gypsum and pottery clay, widely used in the building industry, rank second and fifth in China. Muscovite indispensable for the national defense and electronic industries occupy the fourth place in China in reserves. There is new discovery with regard to the reserves of energy ores. Peat's proven reserves reach more than 8 million tons, ranking fourth in China. Buddha means 'the enlightened one'. Sankyamuni (saviour of the sakya clan) is a title of respect for the man named Siddharta Gautama, who was born a prince in the north india around 500 bc. He grew up in luxury, shielded from contact with human misery, and married young,. One night curiosity led him outside, where he saw shocking examples of disease, old age and death. Determined to find a way to save mankind from suffering sakyamuni left his wife and child, renounced his princehood, and spent long years wandering as an ascetic. At last, fasting and meditating under a tree, he received enlightenment. Buddha's insight into ultimate reality was embodied in the four noble truths and the eightfold path. He wished to be a guide, not an authority, and early Buddhism was a way of life rather than a religion. Its teaching encouraged people to take full responsibility for their thoughts and actions and to progress along a path to spiritual growth. Buddha's followers formed open communities of monks and nuns, who lived disciplined lives and sought wisdom, their prime virtue. For 500 years, while Buddhism spread throughout india, all teaching was oral. In the third century bc this early form of Buddhism in india, called theravada, took root in ceylon and spread onto other parts of south and southeast asia. In the north, a new form of Buddhism appeared, called mahayana or the greater vehicle, which appealed to many more people. Though sharing basic doctrines with hinayana (thervada), its emphasis changed. Compassion was its chief virtue, and its ideal was the bodhisattva, a perfected individual who gave up release from the cycle of rebirth in order to return to earth and help all sentient beings. Buddha was now treated like a god. Countless mythical buddhas were invented to embody all of his aspects, and their images were worshipped in temples. By the first century ad, scriptures, called sutras, laid down doctrines and monastic rules and recorded buddha's sermons as they were remembered. Mahayana Buddhism spread to central asia, china, korea and japan. A third type of Buddhism saw man's harmony with the universe as the key to salvation. Adepts of tantrism in india tried to manipulate external forces by magic, while followers of chan in china induced inner harmony through meditation. Buddhism died out in india around 1200, as hinduism revived and harsh moslem invasions destroyed buddhist centres. But buddhist doctrines and scriptures lived on in Tibet, where Buddhism was promoted by the kings. The faith almost vanished with the end of the monarchy in the ninth century. When it arose again, Tibet's decentralized conditions allowed Buddhism to split into some 20 sects. Fifty years ago, primitive means such as slash-and-burn cultivation prevailed in Tibet's agriculture and animal husbandry, industry was non-existent and transportation of goods depended solely on human and animal power. Today, however, Tibet's economy has evolved from the unitary primitive agriculture into a multiple structure with modern industry, agriculture and tertiary industry developing side by side. In July 1953, the PLA set up Tibet's first wired broadcast station in Lhasa. It was equipped with one 75-watt amplifier, one 1,000-watt gasoline generator, and six megaphones placed on the roofs of civilian houses flanking Barkor Street. But Tibet did not begin actual radio broadcasting until January 1, 1959. The year 1978 saw the Tibet Autonomous Region succeed in showing black and white TV programs on a trial basis. And in the following year, the autonomous region successfully broadcast color TV programs. In 1985, the Tibet TV Station, the first of its kind, was officially launched, broadcasting programs in both Tibetan and Han Chinese. Ten years later, the Tibet Broadcast and TV Programs Translation and Production Center went into operation. From then on, the quality of radio broadcasting and TV programs has improved with each passing day. Over the past 50 years, the Central Government and various provinces and municipalities directly under the Central Government have dispatched their accomplished professionals to help develop radio and TV broadcasting in the autonomous region. In addition, both the central and local governments have made arrangements for large numbers of university graduates to work in the sector. This has helped to create a new generation of experts and promote development of broadcasting services. Nowadays, in the autonomous region there are two broadcast stations and 47 broadcast relay stations; three TV stations and 90 TV relay stations; and 850 broadcast and TV receiving/relay or receiving stations in the rural areas. Radio broadcasting and TV coverage now reaches 55 and 50 percent of the total population respectively. In Lhasa and its surrounding area, some 250,000 people watch TV, representing 75 percent of the total local population. In the whole region, there are more than 200,000 radios and 120,000 TV sets. A radio broadcast and TV receiving system has taken initial shape, with Lhasa as the center and covering various counties and cities. The system features all-directional and multi-tiered service. Lhasa is well served by the Tibet People's Broadcasting Station, Tibet TV Station, Lhasa TV Station and Tibet Wired TV Station. Tibet Daily: Published in Tibetan and Han Chinese, it is distributed throughout China. Its circulation has shot up from some 6,000 copies in its early days to over 40,000 copies at present. Lhasa Evening News: Sponsored by the CPC Lhasa Committee, it was launched on July 1, 1985. as the only evening news in the Tibet Autonomous Region. It is published in Tibetan and Han Chinese, and distributed throughout China. Before the peaceful liberation in 1951, school enrolment in Tibet was no more than 3,000 at its highest. Serfs and slaves, who formed more than 95 percent of the Tibetan population, were deprived of the right to receive education. The attendance rate of school-age children was less than 2 percent. Educational practice was based on monastic, official and private education, with the monastic education being the dominant form. Lamas were teachers, Buddhist scriptures were textbooks, and students were trained to be monks. Official education was based on two schools run by the then Gaxag government, one (Zelhazha) for training monk officials and the other (Zekanglhazha) for training lay officials. There was a medical and astrological school (Moinzekanglhazha), which was also official-run. The lay official school was not a pure school, but an organ in the Gaxag government in charge of auditing and management of lay officials that also oversaw their training. Its purpose was to teach the Tibetan language, mathematics and accounting knowledge. It normally had some 20 students, who had to come from noble families. Private schools were mainly found in such cities as Lhasa, Xigaze, Zetang and Gyangze, but not in agricultural and pastoral areas. Lhasa comparatively had more schools. Before the peaceful liberation, it had 20 or so private schools, the most famous one being Darkanglhazha. In 1952, Tibet saw the establishment of the first school in modern sense---the Lhasa Primary School. Thereafter, primary schools were set up one after another in Qamdo, Xigaze and some other places. At the end of 1958, Tibet had 13 government-run primary schools, enrolling more than 2,600 pupils. Up to 1965, the number of government-run primary schools in Tibet rose to more than 1,800, with an enrolment of 66,000. The region also had four regular middle schools and a teachers?school, with more than 1,500 students. Tibet's first institution of higher learning, the Tibet Ethnic College, had more than 3,000 students. In 1984, the Central Government held the Second National Conference on Work in Tibet, with a special focus on educational matters in the region. It was decided during the conference that teaching in schools in the region should be based on the Tibetan language and teaching contents should be adapted to Tibetan economic and cultural developments. It also decided that three Tibetan middle schools and 16 Tibetan classes would be established in 19 other provinces and municipalities directly under the Central Government. In the same year, Tibet University was founded. With the establishment of the Tibetan Medical College in September 1989, the region had four institutions of higher learning. The Education Commission of the Tibet Autonomous Region explicitly stipulates that the four schools of higher learning must admit Tibetan students. By 2000, Tibet had 4,361 schools of different types. They included four institutions of higher learning---Tibet University, Tibet Ethnic College, Tibet Institute of Agriculture and Animal Husbandry and Tibetan Medical College. There were also 16 secondary vocational and polytechnic schools specializing in such specialties as teachers?training, agriculture and animal husbandry, finance and economics, physical culture, arts, and posts and telecommunications, more than 90 middle schools and 4,251 primary schools including those run by villages. There were more than 300,000 students in these schools, a majority of them being Tibetan or from other ethnic minority groups. Tibet has also established more than 100 secondary vocational schools jointly with 26 provinces and municipalities, with 13,000 Tibetan students studying in various parts of China. Nyingmapa: The ancient ones, began around 750 ad with padmasambhava. It absorbed the bon faith and produced the Tibetan book of the dead. Kahdampa: Began around 1060 ad with the teachers of marpa and milarepa. Most typically Tibetan, it stressed yoga as the way to seek enlightenment. Kagyupa: Began around 1060 ad with the teachers of marpa and milarepa. Most typically Tibetan, it stressed yoga as the way to seek enlightenment. Sakyupa: It arose in 1073 ad at sakya monastery, which later governed Tibet. It was worldly and practical in outlook, less concerned with metaphysics. Gelugpa: The virtuous ones or yellow hats, began with tsong khapa in 1407 ad. It absorbed kahdampa and carried on atisha's tradition. It dominated Tibet after the 17th century, leaving other sects to play a minor role. 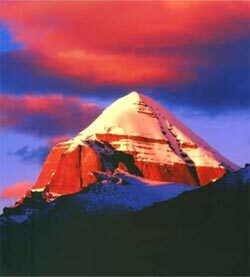 To visit Tibet, the legendary, forbidden land on the roof of the world, has been the dream of many westerners. By air: Kathmandu - Gonggar: a twice-weekly flight operates between kathmandu and lhasa from the beginning of april through october and sometimes till november depending upon the weather conditions. The 55 minute flight offers spectacular views of the himalayas and the southern Tibetan plateau. By road: an approach that has great appeal for hardy and adventurous travellers is to enter or leave Tibet by road, following the footsteps of explorers who for more than a century tried (and usually failed) to reach lhasa overland. Visa: the chinese governments prohibits individual traveller to visit Tibet. The chinese embassy will only issue visas to travellers on group tours i.e if there is a single tourist or a tourist group of less then 05 pax then they will have to join a group in order to get a visa. In addition to the visa, it is necessary to obtain an aliens' travel permit for travel in Tibet. Please carry 04 passport size photographs + smaller us dollars denominations for faster completions of visa formalities. Customs regulations: art objects and antiques in Tibet fall under special restrictions forbidding their export. Anything made before 1959 is considered an antique. Rugs may be bought and exported, so may the small religious objects that are sold in open markets, porviding only one or two are taken as souvenirs. Customs officials have been known to confiscate jewellery or other objects if they consider that a tourist has purchased 'too much'. Transportation: there are no air routes within Tibet. The distances are huge and the only recommended mode of transportation is hiring the vehicles from the travel agent. Climate, clothing and equipment: Tibet is cold in winter, cool in summer and generally dry, receiving only 450 millimetres or rain or snow. Sunlight is extremely intense. The thin air neither blocks nor holds heat, so sunshine feels warm, shadows are chilly, and temperatures can vary greatly within a day, exceeding 29 degree celsius (84 f) in desert areas in summer, and plunging below 4 degree celsius (40 f) the same night. The most pleasant months for tourism are from april to october. Clothing should be simple and consist of layers which can be added or removed as the temperature varies during the day. A warm windbreaker and stout comfortable shoes are especially recommended. Formal attire such as a necktie or dress is never needed - trousers and sweaters are the style. Lhasa now has many pharmacies selling Tibetan, chinese and some westtern medicines but, it is advisable to bring your own comprehensive first-aid kit, sunglasses with good ultra-violet protection, sun block and lip cream and a flashlight is important because many interesting sights are poorly lit. 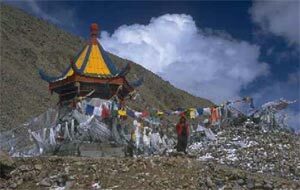 Altitude & health tips: Travelling in Tibet is an adventure involving high altitude and could be strenous. While most visitors have only minor effects from the altitude, we advise specially the guests with known heart or lungs or blood diseases to consult their doctor before travelling. Mild headache, fever, loss of appetite or stomach disorder can take place in a process of acclimatisation. Our advice for better acclimatisation, drink 4 ltr. Of water minimum a day, do not exhaust yourself so much, breathe deep and take rest more than usual. Emergency evacuation: seriously ill travellers should not consider trying to leave Tibet by road, as the difficulties and uncertainties of such a journey pose unacceptable risks. Your only choice is to fly. Money: banks in Tibet/china are closed on saturday & sunday. So, you are kindly requested to carry about usd 100 per person in cash over and above the tour cost to cover your extra expenses for main meals and others enroute until lhasa. If it is cash dollars, even local people help you to get them exchanged in chinese yuan. Travellers cheques & credit cards are very difficult to be cashed outside the banks especially Outside lhasa. The unit of currency is yuan. Communications: international mail is reliable and quite fast if sent by airmail. Idd phone and fax services are available in upmarket hotels. The Tibet Autonomous Region exercises jurisdiction over one city and six prefectures, with one district under the city government, one county-level city, 71 counties, one county-level port and one county-level special administrative area. Lhasa is the capital and the region's political, economic, cultural and transport center. A cultural city with a history of over 1,300 years, Lhasa sits on the northern bank of the Lhasa River, a tributary of the Yarlung Zangbo River. With an elevation of 3,658 meters, the city covers an area of close to 30,000 square km , including a downtown area of 544 square km. It has a population of 403,700 people, including 140,000 living in the downtown area. They are of the Tibetan, Han, Hui and some other ethnic groups, with people of the Tibetan ethnic group making up 87 percent of the total. DREPUNG MONASTERY: Situated to the west of Lhasa city it was founded in 1416 by one of the disciples of Tsong Khapa. It was the largest and richest of the three major yellow sect Monasteries in Lhasa. 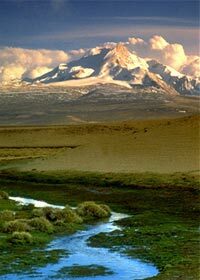 GUTSUO: (14, 200 ft.) is a military base camp situated at the start of the plateau. After passing through the Thongla Pass (16, 400 ft.) a most panoramic view of the northern face of the Himalayan range unfolds. The best view of Mt. Everest and its neighbouring peaks can be seen from the road at Gutsuo. Accommodation here would be in tented camps or at the barracks itself. JOKHANG TEMPLE: Jokhant temple built in 647 A.D is the spiritual centre of Tibet and the holiest destination, Tibetan Buddhist pilgrims. It houses the sitting statue of Sakyamuni when he was 12 years old.Barkhor Bazzar is the oldest street of ancient Lhasa city, circling the Jokhang Temple. LHASA: (11, 850 ft.) was, and still is the religious, cultural and economic centre of Tibet. Places of interest include the Potala, the 13 storey, 1000 room palace of the Dalai Lama; the monasteries of Drepung and sera, the summer palace of the Dalai Lama, Norbulingka; and the jokhang, the holiest shrine of tibet. the circular Barkhor Street with innumerale shops and wayside peddlers interminglewih the devotes. LHAZE: (13, 100 ft.) is situated at the crossroads from where the roads turns westwards towards Mt. Kailash and Mansarovar Lake. During the short summer season, the whole valley is covered with green barley fields and bright-yellow mustard, and is a welcome change after the barren lands of the Tibetan Plateau. There is also a small, hot spring located a few kilometers away. NAGARJE: (14, 300 ft.) is a settlement by the shores of Yamdrok Lake. This freshwater lake, unlike other Tibetan lakes, is sweet and non-saline, extending lakes, extending for 624 sq km, in the shape of the two pincers of a large scorpion. During summer, it is turquoise green in colour, but during winter it has a thick crust of ice over it. It is abundant in fish and migratory birds can be seen in its vicinity. At a mountain pass at of 16, 000 ft, enroute Nagarje one can see, even in summer, the holy pin-pointed glacier. NYALAMO: (12, 200 ft.) known as `Kuti' to Nepalese traders, used to be an important trade post tucked into a fertile valley. Now a days, barrack style Chinese communes surround the typical old flat roofed mud-brick houses. Although vegetation is sparse, one can see an abundance of alpine fauna on the hillside during the summer months. 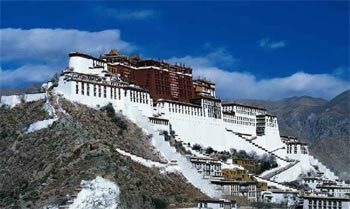 POTALA PALACE: Potala palace, located on the Red Hill, was built in 640 AD during the reign of Songtan Gampo. The original potala was destroyed in the 9th century but was rebuilt in the 17th century, during the regin of the 5th Dalai Lama. SERA MONASTERY: Sera means Hailstone in Tibetan. set on the foot of the Wudu hill to the north of Lhasa city, Sera comprises of a great sutra chanting hall a college and 32 sections. XEGAR: (13, 800 ft.) is a new Chinese commune bilt ata the foot of the ruins of Xegar Dzong, and is 7 kms from the main road. With a population of 3000, its importance lies in the fact that it is the centre of this large and remote country and also a base from where expeditions to Mt. everest and other peaks are launched. Presently accommdation is very spartan in rooms with mud-floors and dry latrines. However, there are plans to build a modest lodge in its vicinity within a year's time. XIGATSE: (12, 600 ft.) is most famous for its Tashilhunpo Monastery - the seat of the Panchen Lama, who is regarded as the deincarnation of the Buddha of Endless Englightnment. Items of interest inside this monastery built in 1447 by the First DAlai Lama are: the relics of Sakyamuni, the Hall of Maitreya, and a mind-boggling collection of thanks, frescoes and statues. There is a bustling `free' market at the foot of the ruins of the Xigatse Fortress where one can buy local handicraft embedded with coral and turquoise, Tibetan Daggers, Chinese porcelain and yak butter. ZHANGMU: Zhangmu (7, 000 ft.) better known by its Tibetan name, khasa, is a small settlement clinging to a hillside 10 km inland from the Friendship Bridge across the Bhotekosi. After the closure of the China/India border from Gangtok, Zhangmu has become the major trading post between Tibet and Nepal. The Climate is quite different from the hinterland. The hills around Zhangmu are heavily wooded with frozen "iciles" during the winter. It has a bank, a post office, a government store, and is presently undergoing a construction boom to meet the demands of trade and tourism.